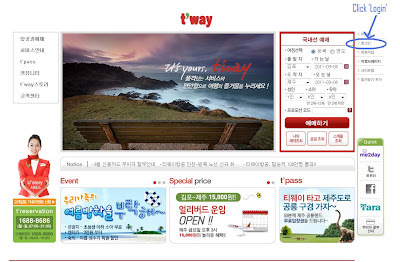 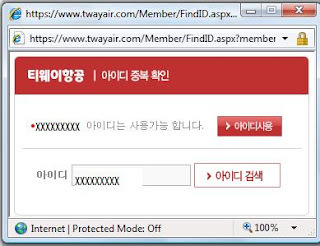 Before we book the ticket, let's go the steps to become T'Way Airlines member, shall we? 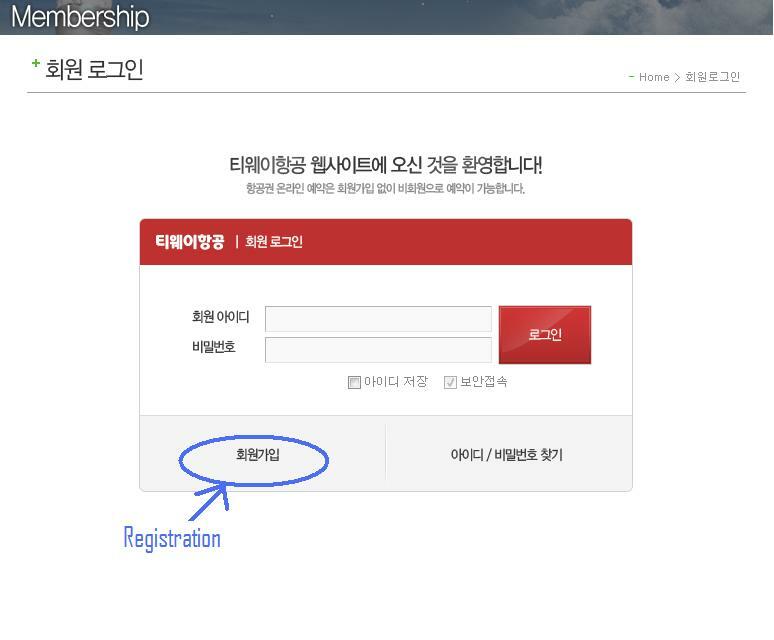 Look out for '로그인' which corresponds to 'LOG IN' at the top right corner of the website. 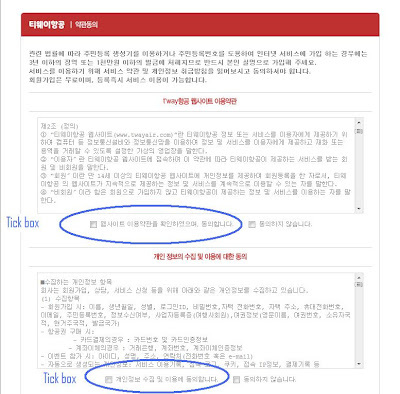 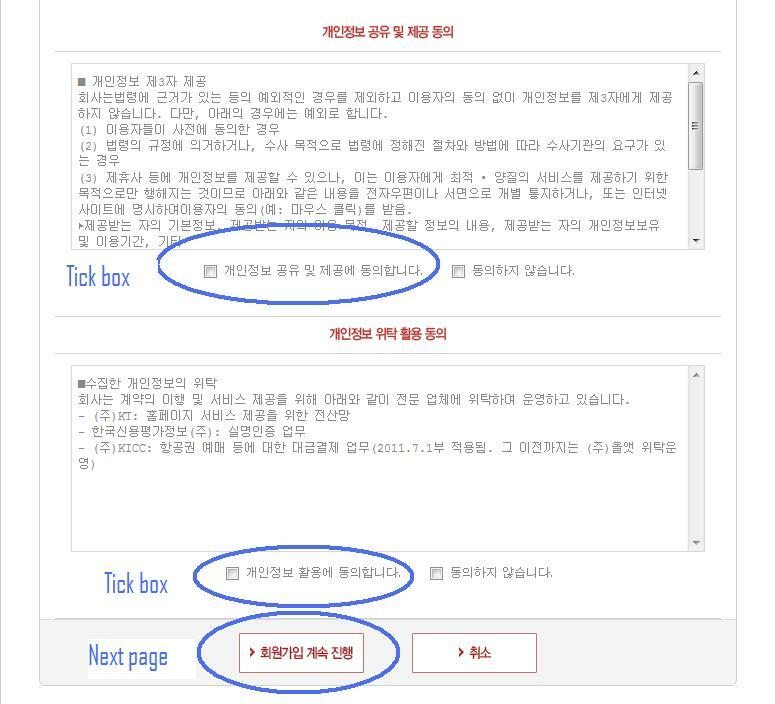 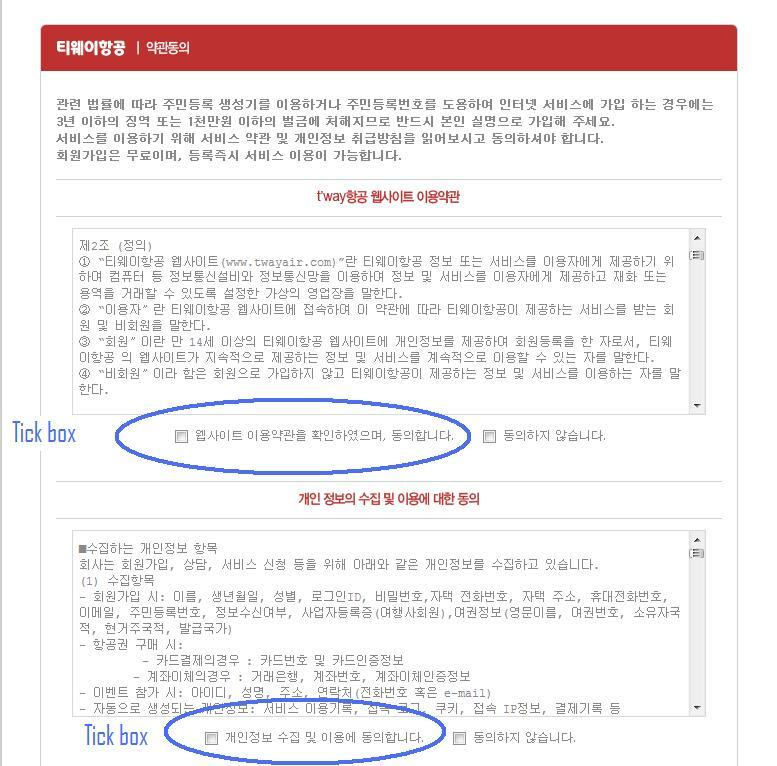 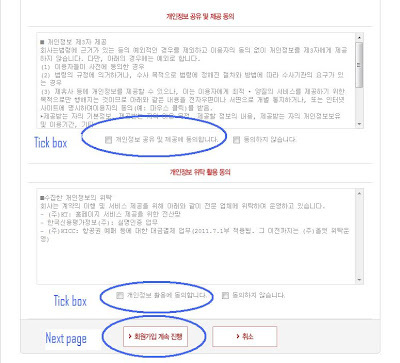 Tick the boxes to agree upon the terms and conditions and press '회원가입 계속 진행' to progress to the next page. 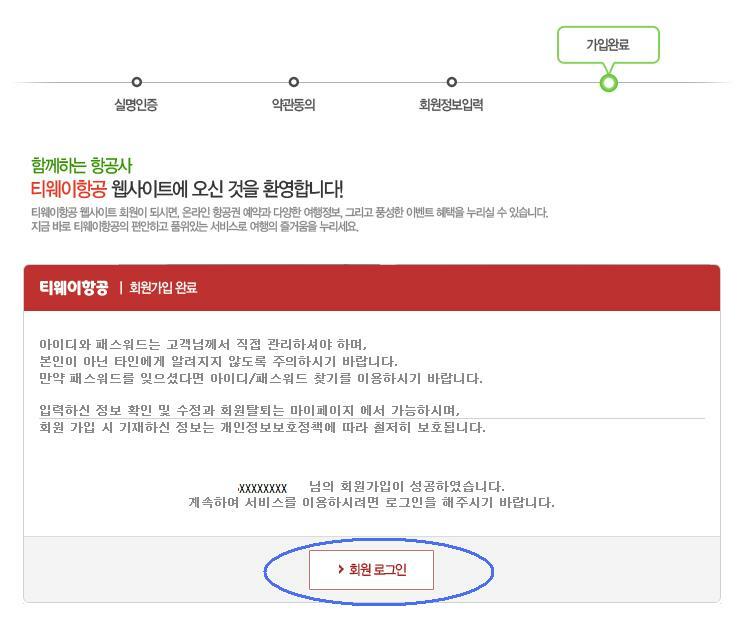 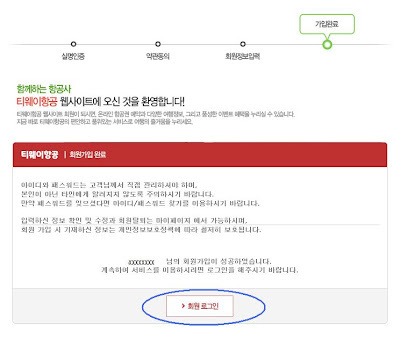 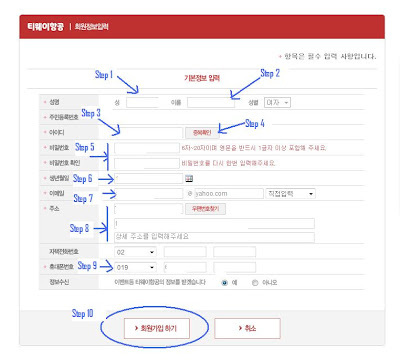 Press the red button '아이디사용' which means, you can use the id. 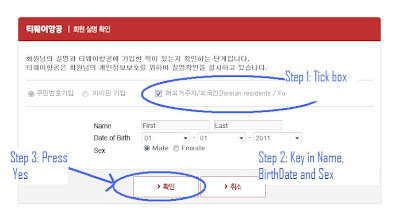 Key in your mobile number. 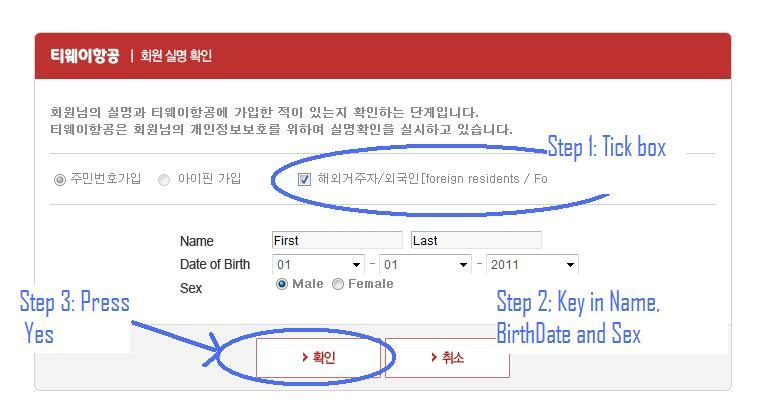 If you can't find your initial number eg 012, just choose anything. 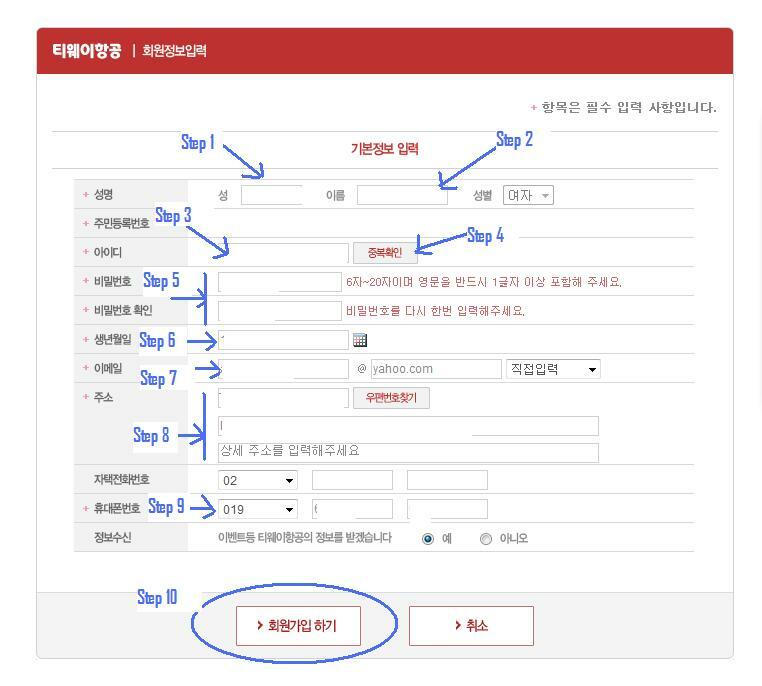 Press the button '회원가입 하기' to progress to the next page.